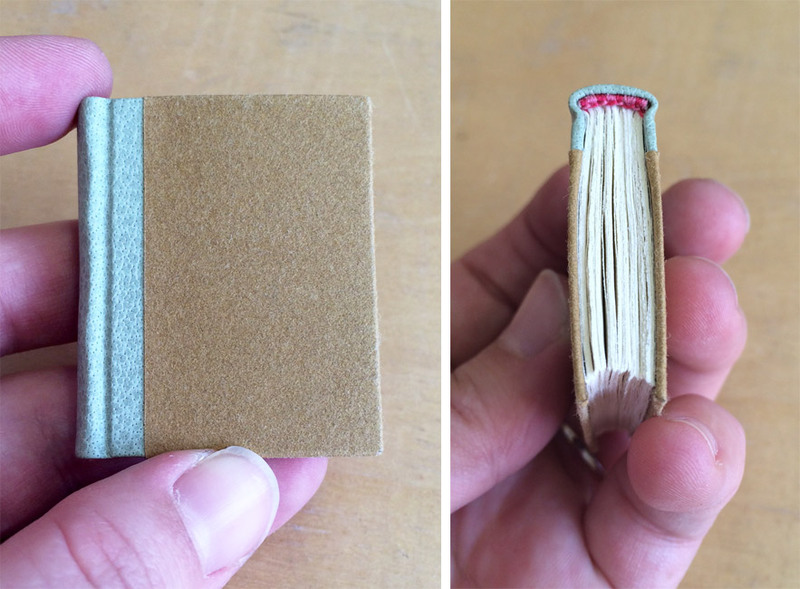 Last year, I took a workshop at North Bennet Street School on Miniatures Bindings with James Reid-Cunningham. 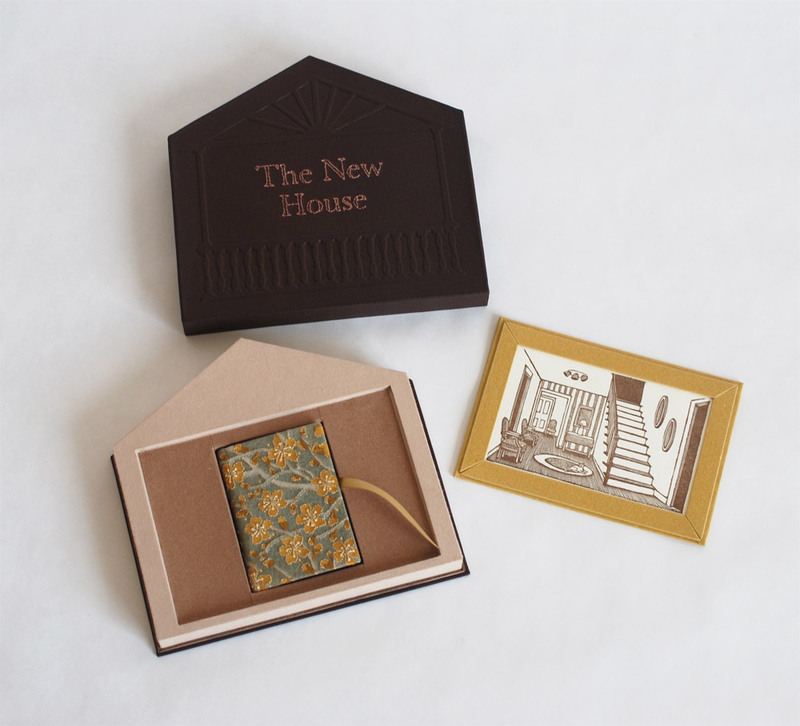 Bookbinding itself has a certain lure, but miniature bookbinding can pull you in even further. There is always this challenge of how small can one actually go while still keeping some integrity to the craft. It certainly felt this way during the 3-day workshop as James had us construct smaller and smaller books for each project. 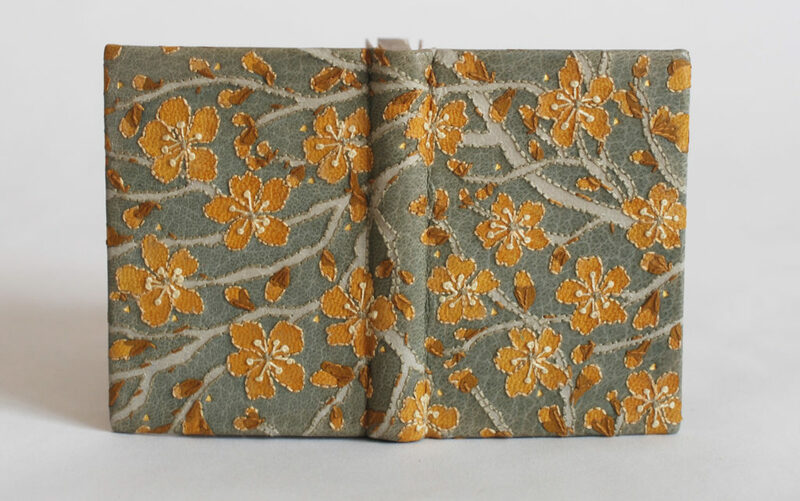 We started off the class with a hardcover long stitch binding. In terms of size, this was the macro-mini measuring out to 46mm wide by 59mm tall. 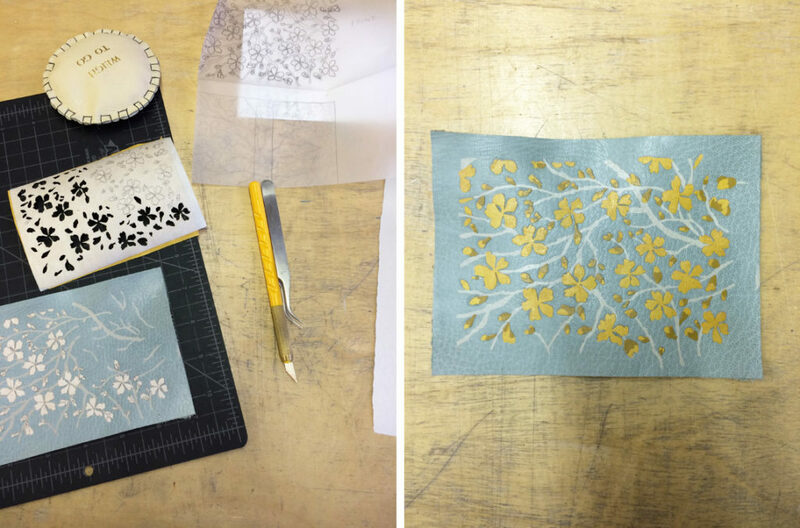 The text block was sewn through a paper spine piece which also acted as the endpaper paste down. The boards were covered in paper and then pasted to the paper wrapper. 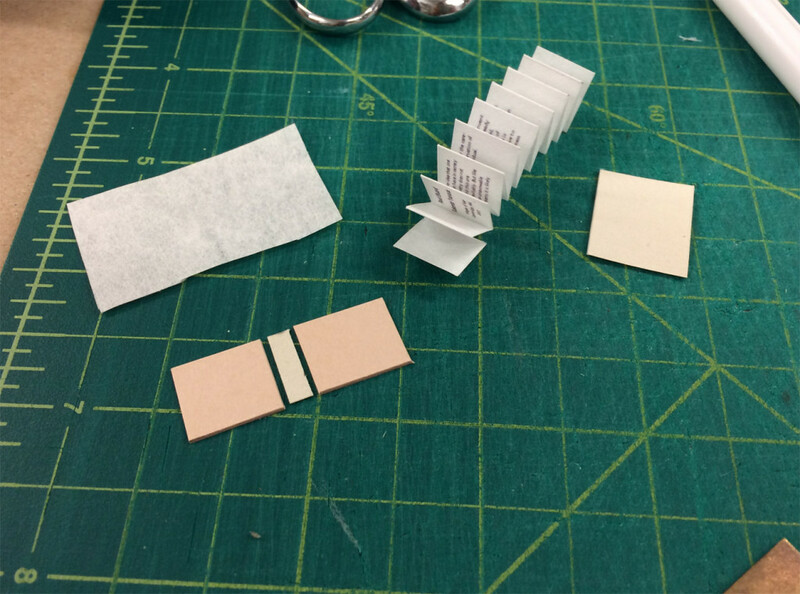 Before attaching the covers we used our bone folder to round off the board’s corners, offering a very subtle touch of softness to this miniature book. 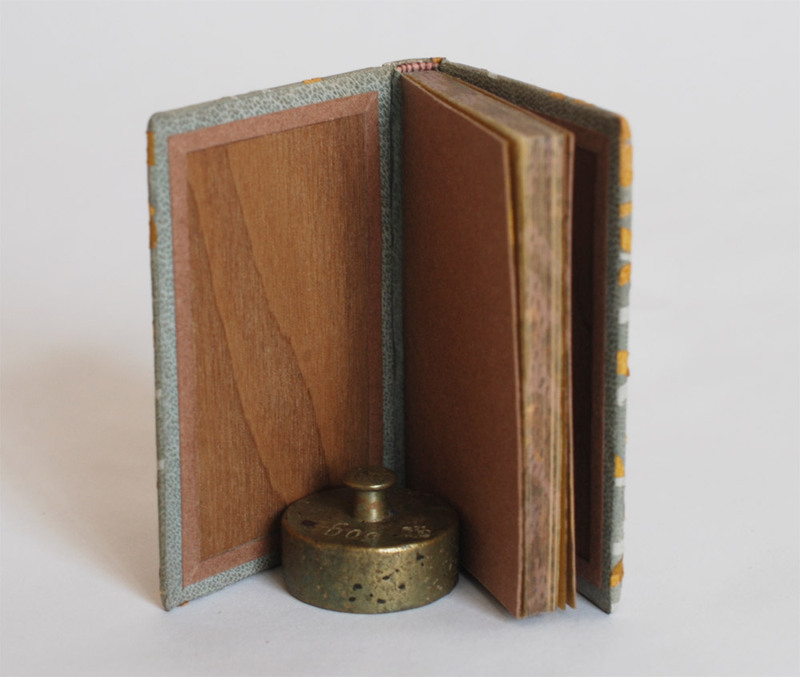 Our second project for the workshop was to construct a miniature quarter leather case binding. 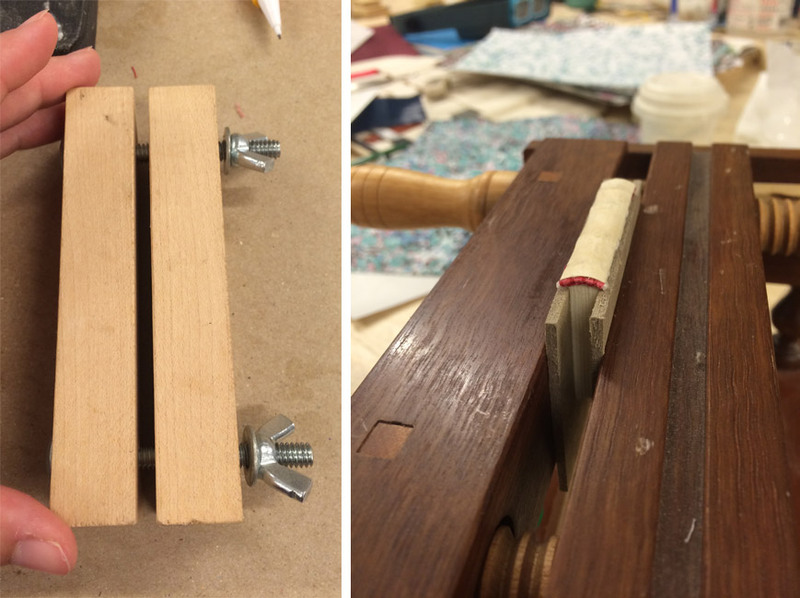 We employed the use of miniature presses to aid in the forwarding process. James brought his own contraption (two wooden slabs connected with bolts and wing nuts), while a fellow classmate brought one of Frank Wiesner’s miniature ploughs for the class to use. After sewing up the text block over two tapes (cut down from ramieband) I chose to sew headbands in light and dark pink stripes. 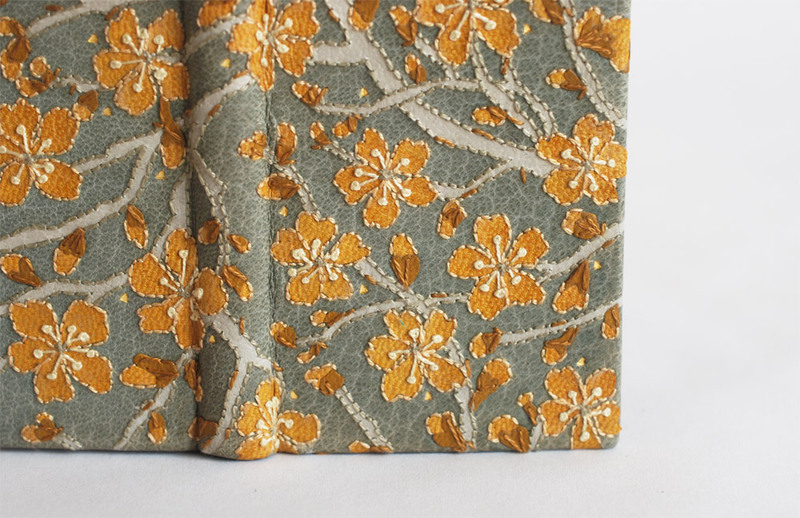 We continued with the forwarding process by lining the spine. 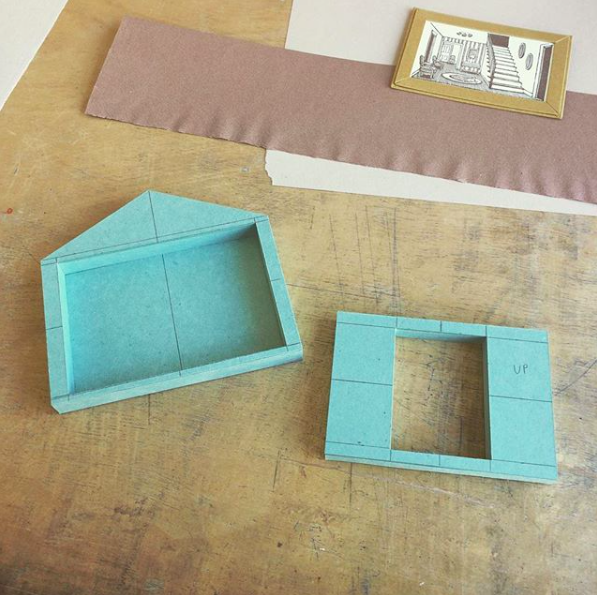 Using a very thin piece of leather, we assembled the case with shaped endcaps. The rest of the case was covered in paper. 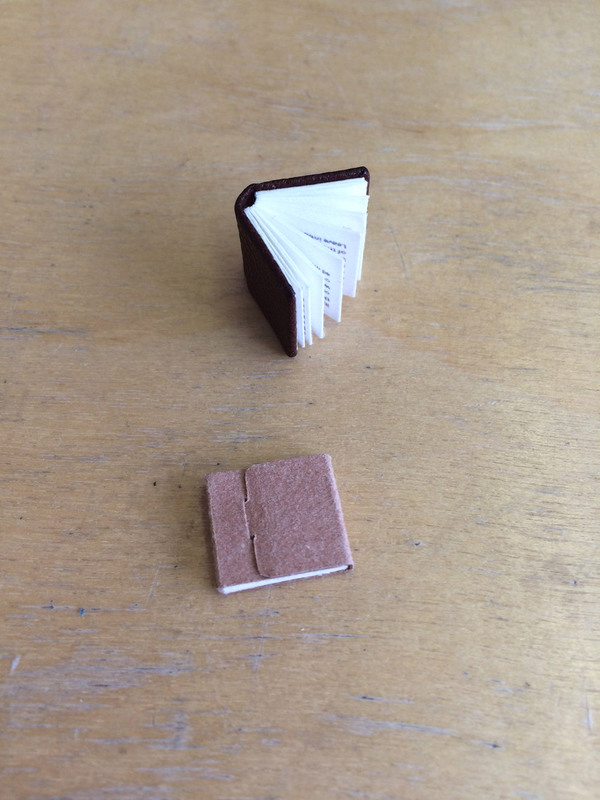 For my miniature, I used a scrap piece of buffalo skin and handmade paper from Katie MacGregor. 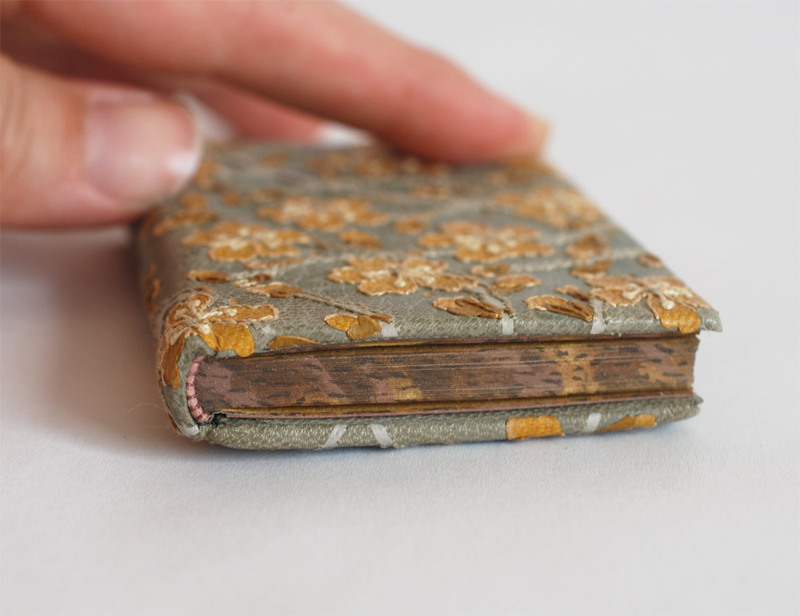 This binding measures 38mm wide by 46mm tall. Our final project was considered a micro-mini measuring to just 13mm wide by 13mm tall. The text was supplied to use with content laid out and printed by James. The text block was printed on a variety of tissues ranging in different weights. 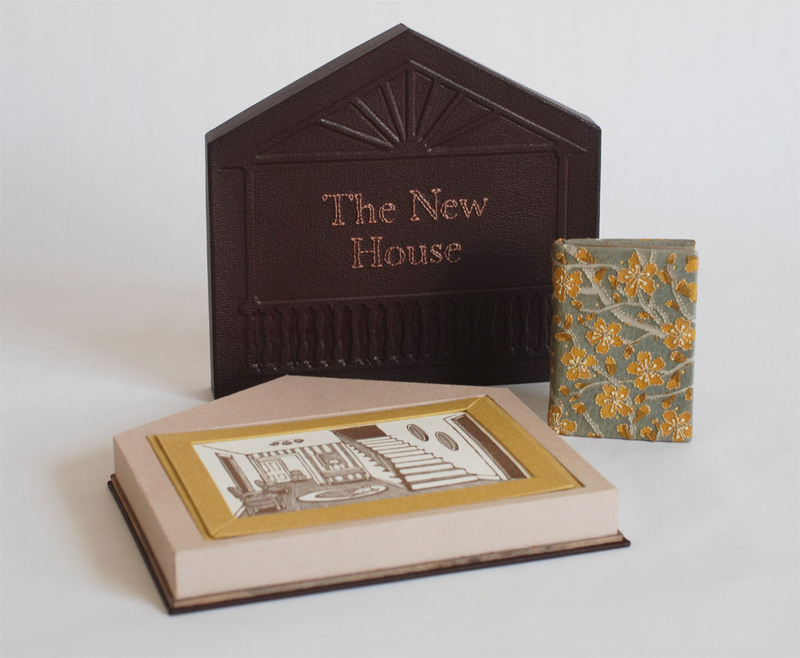 For our last project I chose to try out two different weights and assemble one as a soft cover paper wrapper and the other as a full leather binding. 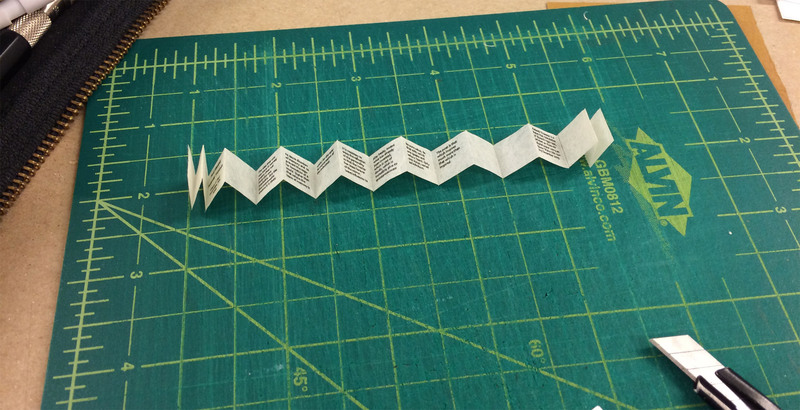 The first task for both was to carefully fold the text block into a neatly squared accordion. To construct the full leather binding, the components of the case were cut to size and glued down to a single piece of tissue. 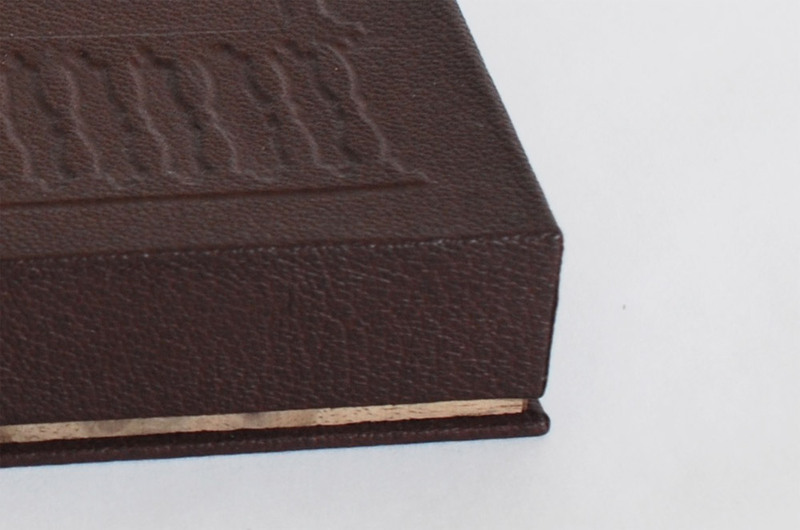 Once the case was assembled the fore edge was trimmed to fit the text block and the corners were rounded to accommodate the thickness of the leather. 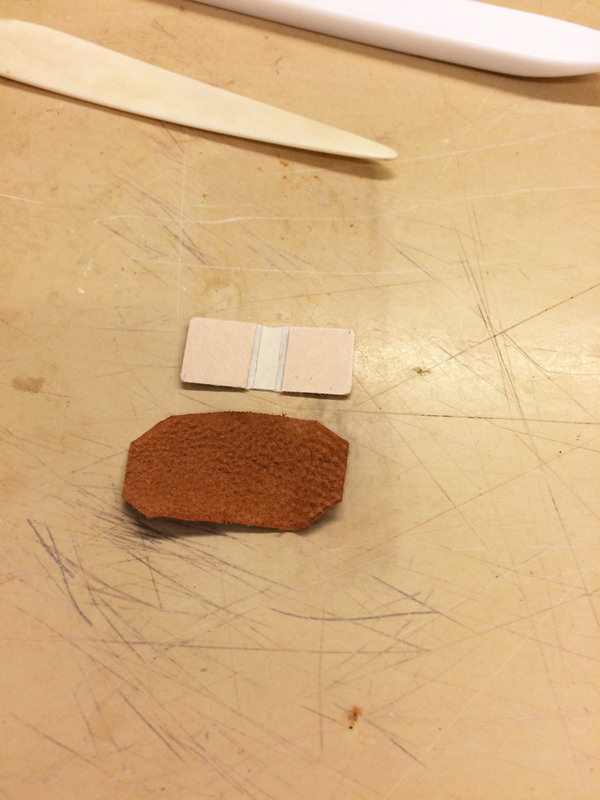 The leather was pared to onlay thickness and the corners were pre-cut before covering. The covering was swift and simple. And once the leather was dry, I attached the outer panels of the accordion to inside of the case. The book can be read as a codex or the accordion can be expanded. 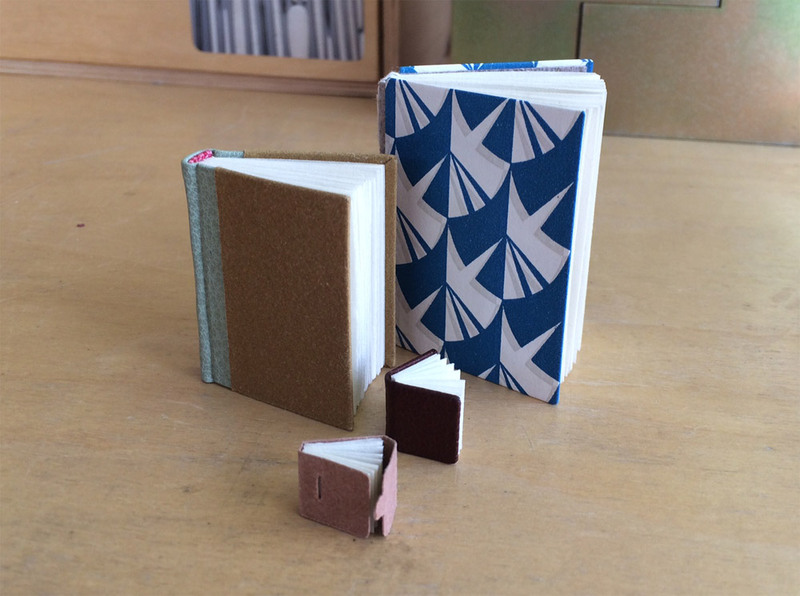 The workshop was a delightful insight to bookbinding in miniature form. The main challenge was rethinking and reworking how to use my hands and tools in such a narrow space. 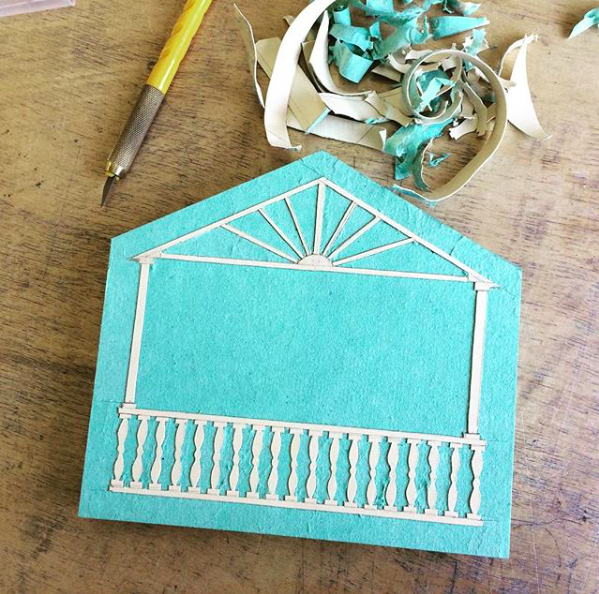 I was a fan of miniature bookbinding before I took James’ workshop and I still am. However, I think I’ll stick to the macro-mini for any future work. Anything smaller is just too excessive for me.